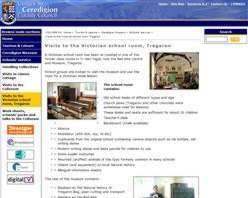 Is your favourite Victorian Museum or Victorian Schoolroom not listed? Please contact us and we will add the information. We want to make this list as comprehensive as possible. Some details Incorrect? Want to add more information? Tell us anything you think will help visitors get the most out of their Victorian experience. SMALL PRINT: Whilst every attempt has been made to keep these listings up to date and accurate, no liability is accepted for errors or omissions. 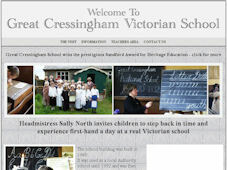 The inclusion of any listing does not imply endorsement by victorianschool.co.uk. The order of the list is arbtrary. The costs, where stated, are for educational visits, but should be regarded as a guide only, and you are advised to check the details. Broneirion, an ideal setting for a Victorian school trip, was built. The Victorian day has been carefully planned to ensure it is full of fun and interactive activities. Children take part in a Victorian lesson in the Victorian Schoolroom with a very strict teacher. 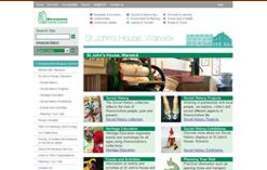 Other activities include: Victorian craft, Toys and Games, Victorian cookery, Wash Day and a tour of the house. One room village school with Gothic features. Two teachers run the day - one in the schoolroom and one in the parlour. 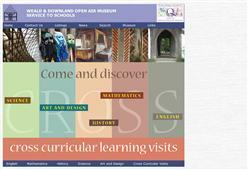 Radstock Museum offers a wide range of facilities for school visits. 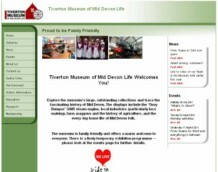 The Museum has a Victorian Schoolroom where the children can take part in role-play lessons, a Co-op Shop, miner's cottage kitchen and a re-constructed coal mine section reflecting the life of a typical miner and his family from the days when the Somerset Coalfileds were at their peak. Programmes can also be tailored to meet individual need. 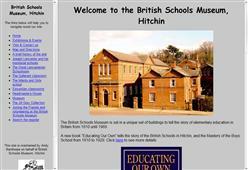 School visits can take place at any time by arrangement though mornings are preferred. The cost is £3.00 per child (plus VAT) with some adults free. Costumes are provided or schools may come in costume. The museum is housed in a former Victorian Workhouse and offers an interactive workshop focussing on the lives of everyday Victorian people. Children dress up in period dress and visit a recreation of a Victorian street complete with authentic smells! The charge for children is £5 each for a led session or £4 otherwise. Offers an authentic Victorian school day where children can sample the timetable of a typical Leeds board school (1870 1901). Against the background of the stunning Museum Galleries and our dedicated Education Centre, students use objects, drama, costume and archive material to experience life as: A Victorian foundling growing up in the Hospital, a parent struggling to do the best for their child under the difficult circumstances of Victorian London, a Governor of the Foundling Hospital, making difficult decisions about which children they should take in. Activities include: role play, object investigation and handling, dressing up, speaking and listening, group discussion, decision making. Visiting school pupils take the identities of real school children who once attended the school in the year 1900. 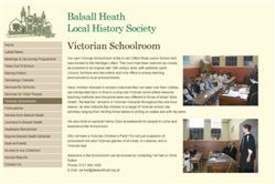 Apart from Victorian classes at the original Victorian School, there is an opportunity to explore Victorian aspects of the village. Charge for 30 children for the day £200. The Dean Heritage Centre has many different attractions of which one is a Victorian Schoolroom. There is also a Victorian Forester's Cottage. The Centre offers a number of school educational programmes, and visiting classes can dress up and take a lesson under the tutilage of Miss Wright. The Donnison School was built in 1798 as part of the legacy of Elizabeth Donnison specified in her will in 1764. The building was originally established as a charity school for 36 girls drawn from Sunderland Parish. The School and the house of the schoolmistress, which was added in 1827, were rescued from dereliction and fully restored, and is now open to school visitors and classes can enjoy teaching in the schoolroom. The Royal Gunpowder Mills provide two programmes for visiting school groups. 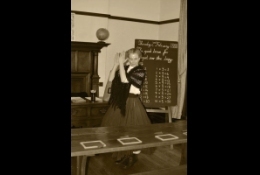 Victorian Life includes a Victorian School lesson, games, and teaching about the working life of a Victorian child. Victorian Christmas includes practical activities such as making Christmas cards and decorations, and playing Victorian parlour games, plus an exploration of traditional Christmas fare. Approx charge for 20 children £145. The Mill can accommodate as many as 128 children per day. 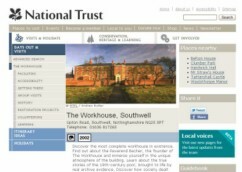 Former workhouse, now owned by the National Trust. Open to visitors March to October. 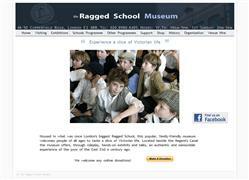 Explore how the poor were treated in Victorian times. Activities for KS1 and KS2 children in a specially recreated Victorian classroom facility, where children dress in Victorian costume and follow a Victorian style role play recreation. Activities include: Recitation, Physical drill, Object lesson/needlework,Copperplate handwriting. 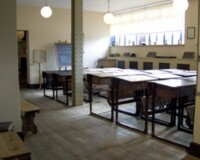 The museum features a recreated Victorian Schoolroom in which visiting classes are able to experience a Victorian lesson at the hands of teachers dressed in period costume. There is also a chance to explore artefacts of the time. Open all the year during term time. Available any day of week throughout the year. 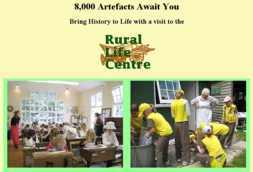 Artefacts and teaching materials available for those that cannot visit. Victorian Schoolroom at St. John's House Museum in Warwick.